The first and second World Wars took men away from the land and heralded the start of the decline of Hale Duck Decoy. The Decoy belonged to the Hale Hall estate, which had been owned by the Ireland Blackburne family since it was built in the early 1600’s. It had started to deteriorate and the north face was demolished in the early 1930’s. The family left Hale Hall and it was bought by the Fleetwood-Hesketh family. Through the 1930’s the south face deteriorated and the hall was eventually left derelict, after considerable damage by fire. It lay untouched and in ruins until it was demolished in 1981. The Decoy also deteriorated over these years. The way it was operated also changed. While the hall and its family had supported a large staff for generations: including a number of gamekeepers at any one time, the new regime no longer required this level of staffing. There were fewer estate gamekeepers and changing times, procedures and finances eventually left the Decoy in ruins too. 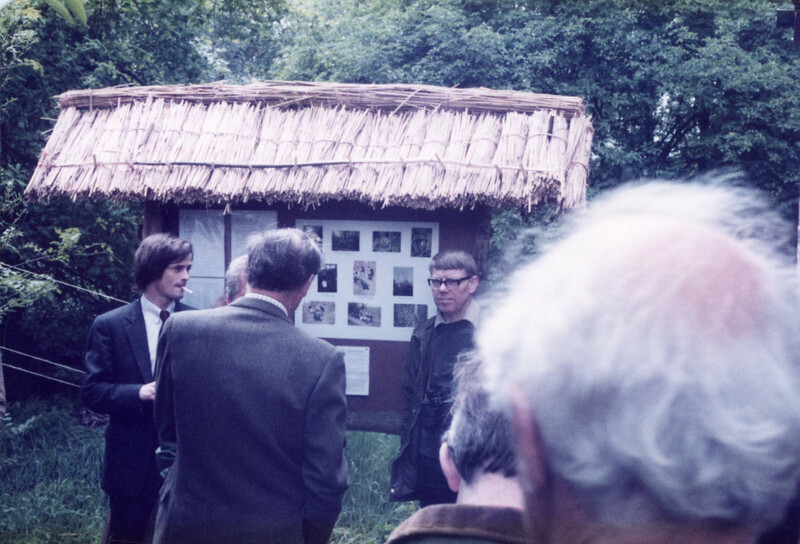 In 1975 it was the actions of a small group of local people (George Threlfall, Rob Cockbain, Malcolm Lord and Bob Fisher) that stopped the continual decay and initiated the steps that led to the restoration programme that revitalised the decoy and saw it develop into a Local Nature Reserve. The Decoy was leased to Cheshire County Council and sub-leased to both Cheshire and Lancashire Conservation Trusts. 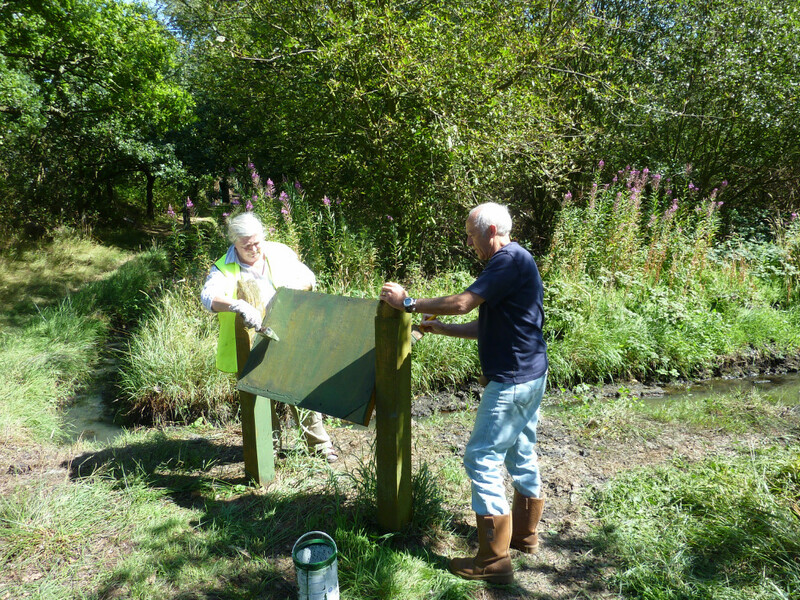 Local voluntary wardens were appointed. 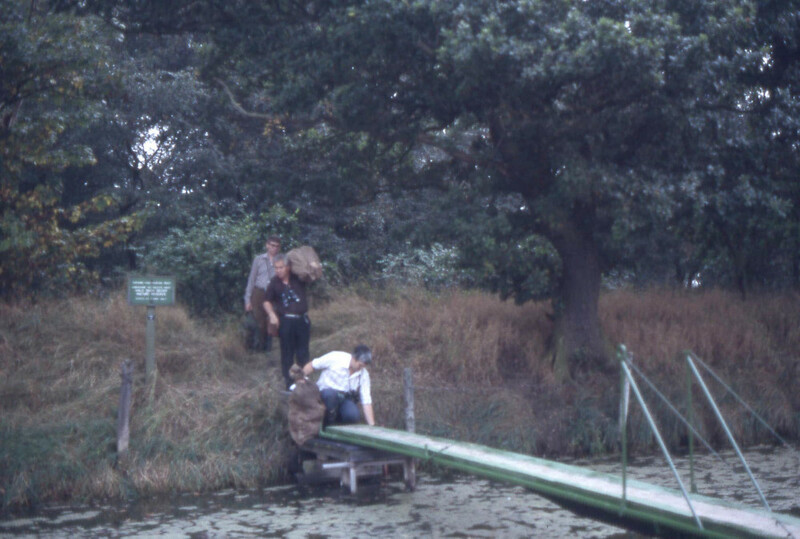 A new swing bridge was built, trees were plante , ditches were cleared, debris was removed from the moat, soil and water samples analysed and a census of the mammal, bird and plant life started. 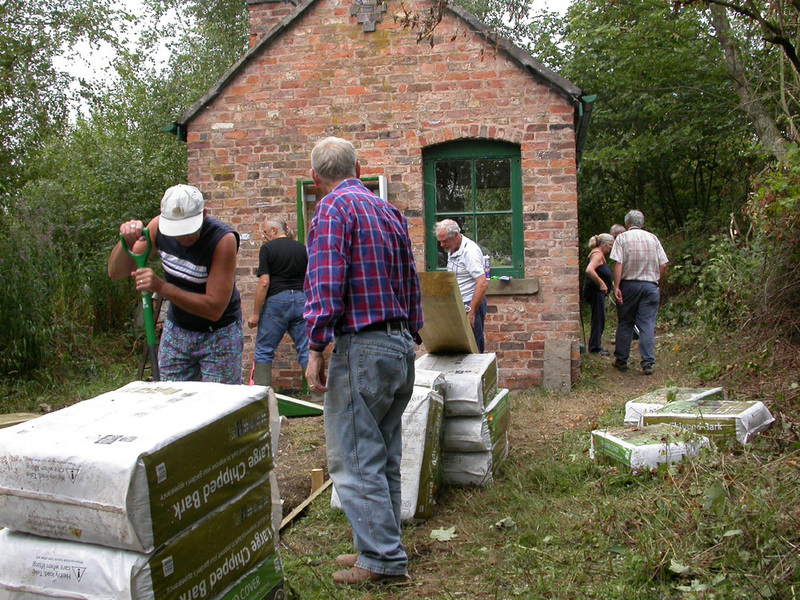 Volunteers went on to build the gamekeepers cottage in 1981-2. The 1990’s saw another period of deterioration, through flooding and problems with the lease. 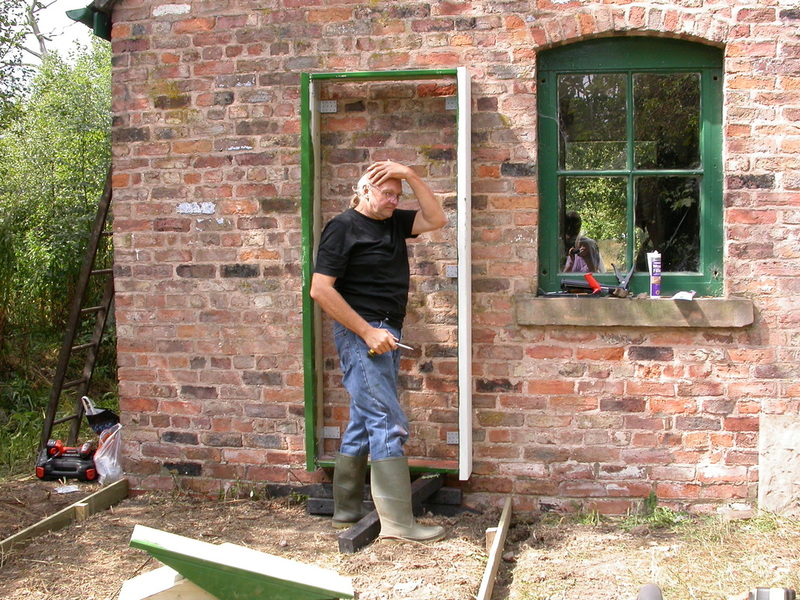 Both Lancashire and Cheshire Conservation Trusts withdrew from their role in management. Halton Borough Council agreed a 25 year lease with the owners in 2000. With the continued support of local volunteers and other interested parties and a grant from the Heritage Lottery Fund further restoration took place. 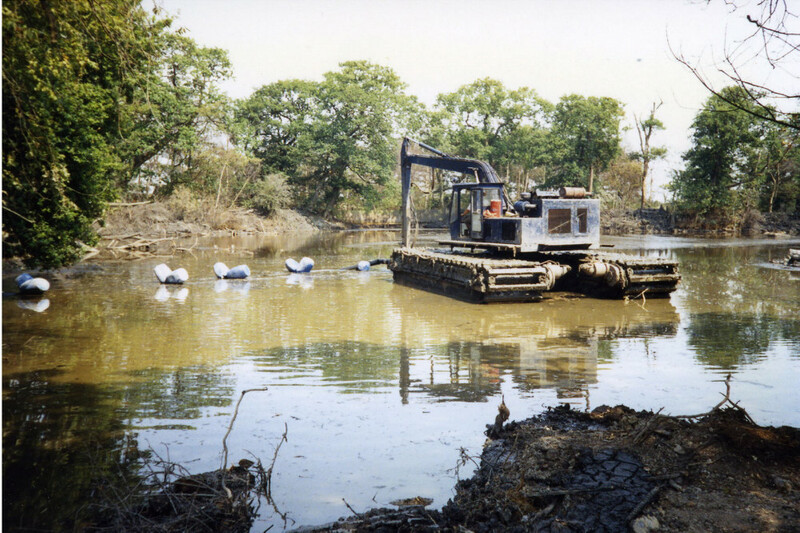 This included engineering and drainage work, restoring the moat defences and de-silting drainage channels. 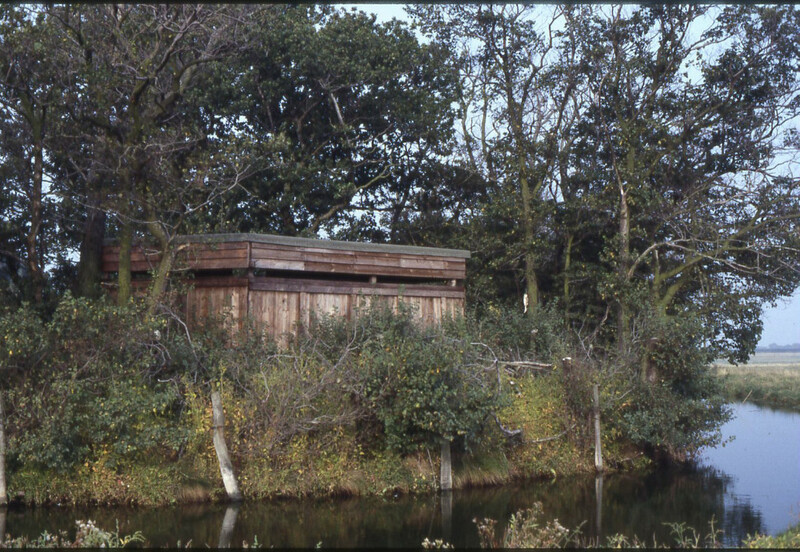 The Marsh hide was built. March 1985. 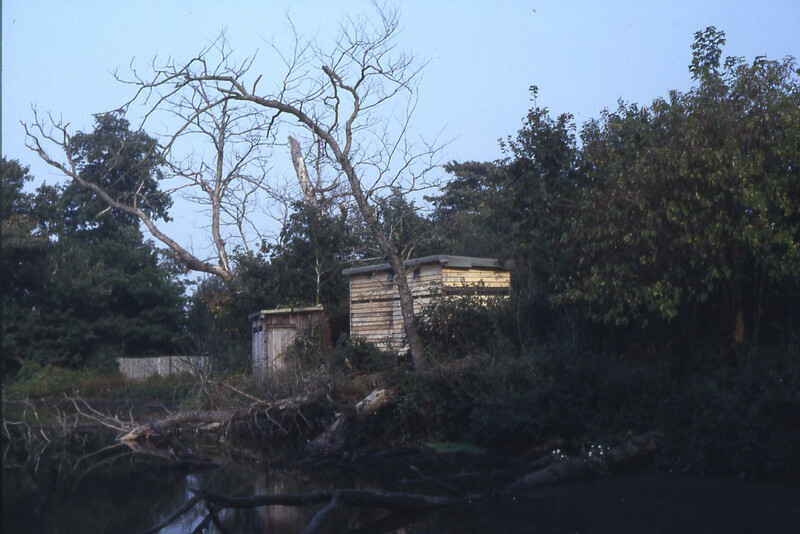 The original pond hide (1978) is replaced with a larger new one. Sept 1985. 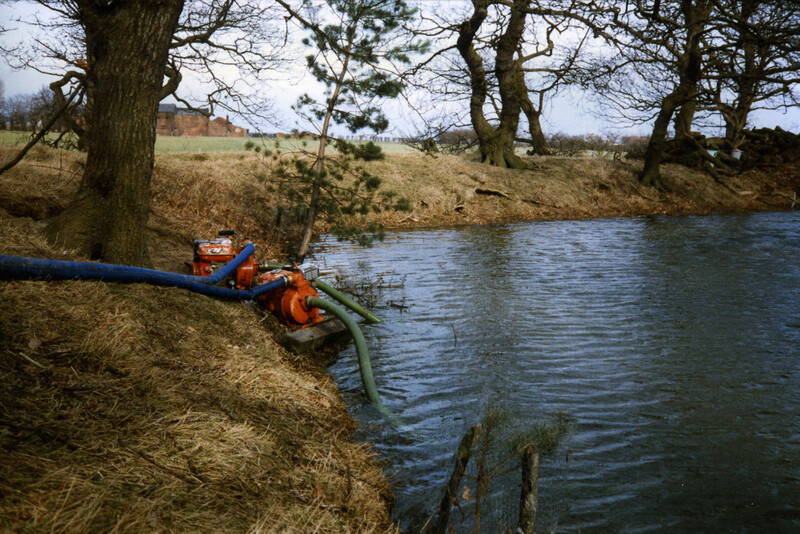 Salt water is pumped out after the high tides of February 1990 breached the moat bank. 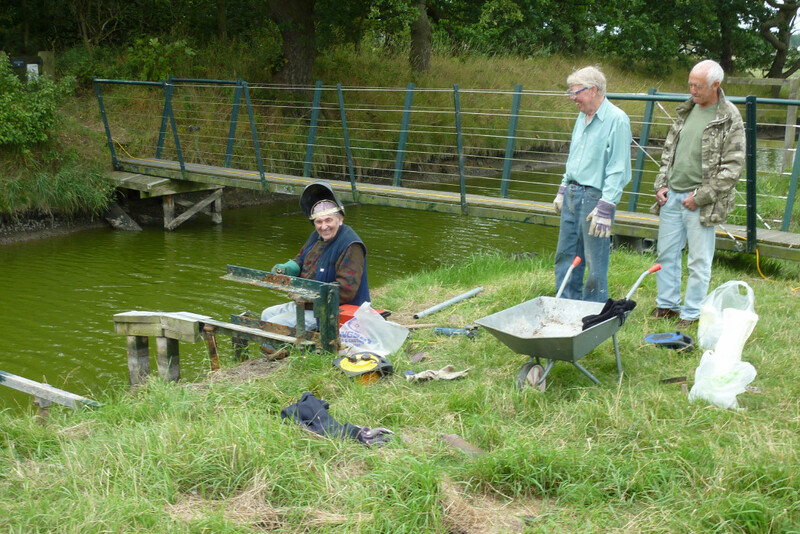 In 2004 another swing bridge was constructed and the Friends of Pickerings Pasture and Hale Duck Decoy were awarded a Lottery Heritage Initiative grant to construct seating, develop a history tree, improve the internal presentation of the Gamekeepers Cottage and produce leaflets and information to improve the visitor experience of the Decoy. In 2007 webcams were installed on the site. Starting on the History Tree. Smartening up the notice boards. Working on the seating area. 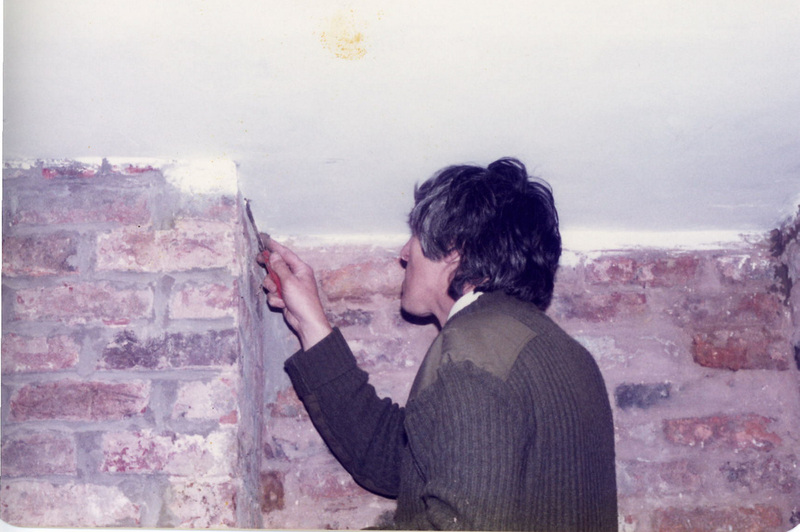 The upkeep of the site continues with much of the work undertaken by members of the Friends Group. 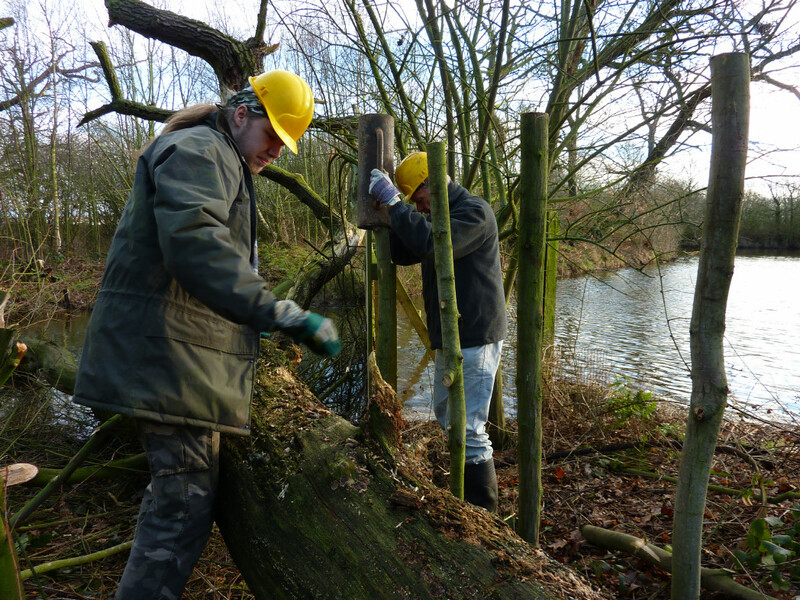 Each year The Conservation Volunteers make several visits to the Decoy to help us with some structural projects and ditch clearance. TCV repairing the pipe screens. Laurie Morgan cutting back bramble from in front of the hide.